Holster Kit Only. No other parts or items included. 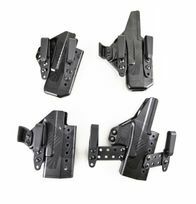 All holster shells are fully compatible with most extended controls, any brand or size sights, any type of MRDS mounted behind the ejection port and most extended/threaded barrels. -The Glock 26/19/Universal model has a pass-through open bottom design and will fit any 3rd or 4th Gen. Glock 9mm/.40cal pistol. 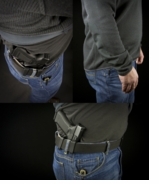 The holster shell itself is equal in length to a Glock 19 pistol. -The Glock 17 model has a closed bottom design equal in length to a Glock 17 pistol, but will fit any Glock 26/27/19/23/17/22 3rd or 4th Gen. The Ambidextrous Short body shield is cut to clear the hand completely but yet still help prevent clothing from entering the mouth of the holster and provide a visual and tactile guide for re-holstering the weapon. 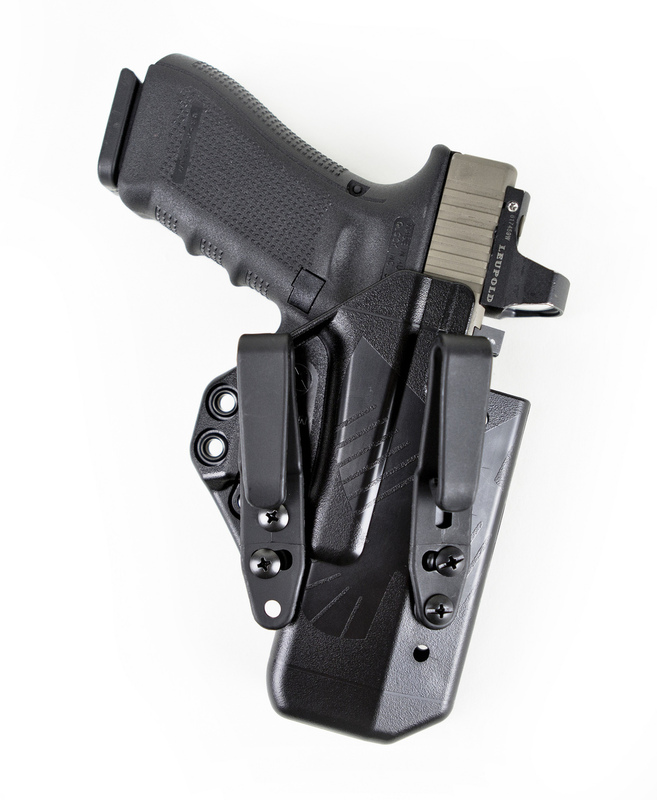 The Ambidextrous Long body shield extends to the rear of the slide to help protect the user from the weapon and the metal of the slide from the user. The long shield is cut and profiled to minimize interference with a full firing grip. 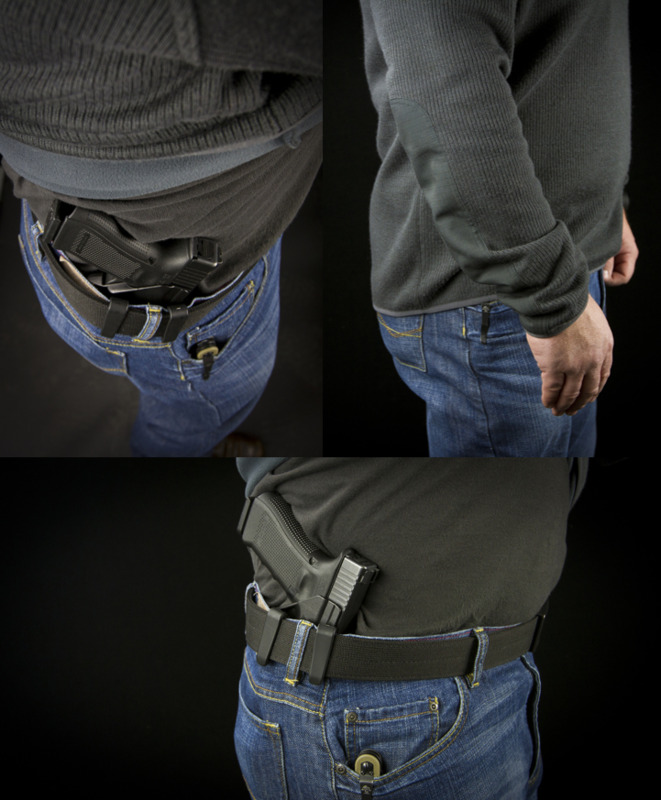 Though unconventional, we’ve found the dual tall body shields to be very useful in preventing clothing from interfering with re-holstering and acting as a great tactile and visual guide “funnel” for the re-holster process. We have not seen any significant draw or presentation issues versus a traditional tall/short or short/short configuration. USA and APO Addresses only. No International shipping.